Would you like to serve on the Board of Directors? Do you want to make a difference? Do you want to be a part of making this club the best it can be? Contact Carol Thompson, Lindsay Campbell or Chris Littlefield at sedraprez@gmail.com to get your name on the ballot. Those that have already contacted us need not do again. Annual Meeting and Banquet: The Black Prong Equestrian Center was sold in March. The new owners (Big Lick, LLC) take possession on May 1. I spoke with Clayton who represents Big Lick LLC about their future plans for the facility and whether we could use the clubhouse again this June. Clayton was very nice and listened as I shared with him what our day usually consists of. I used the word typically so many times had it been a drinking game, he would have been plastered. Unfortunately for us, the facility is not available in June. They have blueprints in-hand to start construction on modifying the clubhouse including increasing the size, adding a professional kitchen and making it a “world class facility.” The construction won’t be completed until late November, just in time for the winter season. We are currently looking at other options. As soon as we secure a facility, we’ll get the word out. The scheduled date for the meeting/banquet is Saturday, June 29th. Stay tuned for updates! Weather was wonderful this year and the trails were in great shape. With tree harvesting taking place, there were trails we didn’t use for safety reasons. The river trail was fabulous with Blue Sink as bright blue as ever. The pine tree side footing was the best I have seen in a few years. The forestry officials didn’t plow it up which seems to happen every time we have a ride. No rain and a nice breeze kept us all comfortable until late afternoons. Evenings were pleasantly cool. Penny Staffney did a wonderful job as the new ride manager and had the best of the best of volunteers and vets. Rob made sure that the water buckets never went dry and even managed to squeeze a short ride in Saturday. I rode Indy on the Friday 50, his 1st without a buddy horse to keep him rated. I figured I would treat it like a CTR and pretend the horse in front was his buddy. We were late getting out, hustling to get down the blue trail with the crowd shouting “GO CHRIS GO!” I was like YEA! We got this. But why on earth are they still yelling? Then I heard STOP! They were yelling “NO CHRIS NO!” Good grief. Indy was more than happy to oblige to go back. We had taken off on the wrong trail! Once corrected, we happily trotted along until Indy realized he was alone. Slamming on the brakes and going backwards 90 to nothing is not my idea of fun. Thankfully, Kathy and Paul allowed me to follow their horses’ tails the first 15 miles. They were nice but had their hands full with their horses so after the in-camp trot out before the next 10-mile loop, I followed Jessica and her horse out. By now, Indy was ready to trot on his own and although I was hoping Jessica could catch up, we soon found ourselves going down the trail solo. I started singing loud and off tune which got us back into camp for our 1st 50- minute hold. After our vet check, Indy chose to circle, whinny, circle, back up, circle for the remaining 40 minutes of the hold. Meanwhile, his barn buddy Ripple isn’t helping my situation screaming back at him from the barn. Fun times. I get back up to go out, going backwards yet again, we finally made forward momentum with help from the ground crew. Our next plan was to ride with Cutie Curt but that didn’t work out either. We then spent this 15-mile loop with Marcia on her lovely French Arabian. They were competing in the 2-day 100. Both horses went stride for stride easily eating up the terrain back to camp. Another 50-minute hold with more circling including eating food this time and a little help from my friend Joel Lay. We headed out to finish the last 10-mile loop and were making great time with Marcia when her stirrup broke about 3 miles before the finish. Not knowing what happened she chose to get off to investigate insisting we go ahead. Off we went alone again finishing the 50 in Top 10. HA! I was so surprised because I thought I was close to last. Indy’s card was great all day with a comment from the vet that he didn’t work hard enough. He may not have but he exhausted me! I slept like a ROCK. 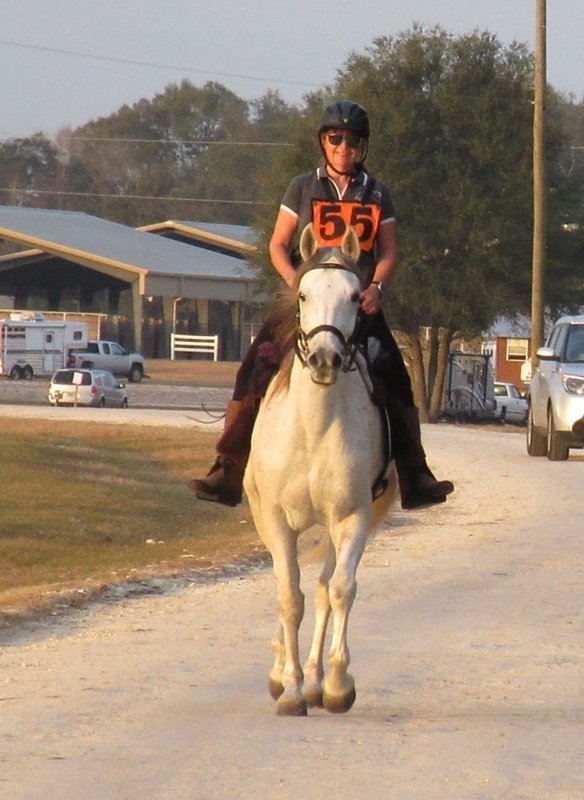 Saturday, I rode Indy again in the LD with friend Edie Peters riding my other horse Wineglass Ripple. A night of rest only powered Indy up. Ripple was ready as well and we easily passed those that started ahead of us. We returned back to camp off the 15-mile loop where a more relaxed Indy ate quietly. Finally! We left camp in 1st and 2nd place and came back to camp in that position also with several others right behind us. We ended up vetting in 3rd & 4th with Suzanne and her student pulsing in 1st & 2nd. (Their horses looked fantastic all day and this was day 2 for them also.) Friends Debbie Sosa and Gerry Auermann finished in the Top 10 too. Gerry is 80 years young! We stood for BC along with the other Top 10 finishers. All the horses looked good and our BC cards looked good. Doug Shearer won BC with the good horse Ray. 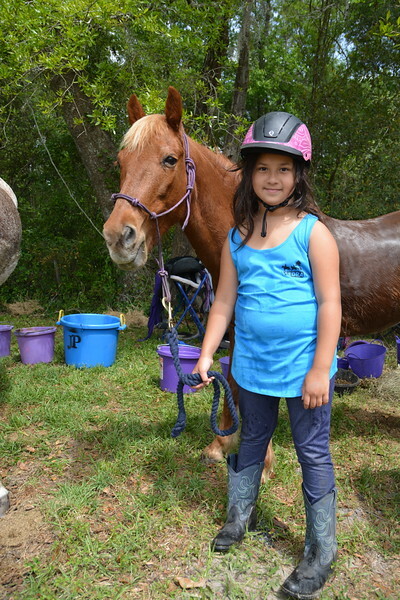 Our youngest rider Sophia also had a great ride in the introductory distance with Mom, Julianne Phillip. Notice the pretty SEDRA tank she is wearing. Looking good! Photo courtesy of Maria Phillips. Now that Amanda is located in Florida, I hope to see her at more rides. 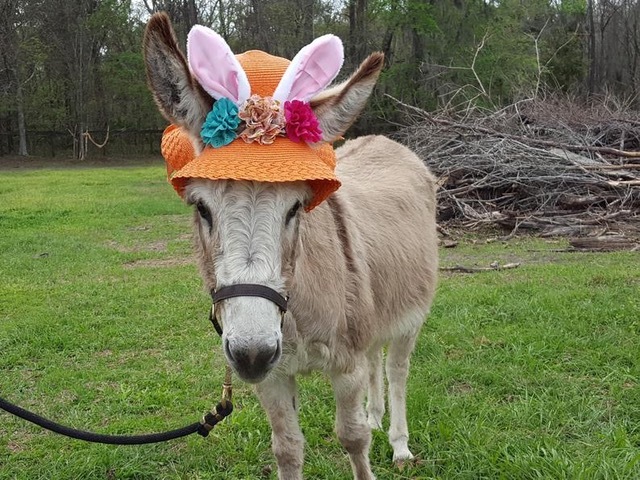 Her tack and accessories are all top of the line. Over all it was a great weekend and well attended. I am already looking forward to next year’s ride. 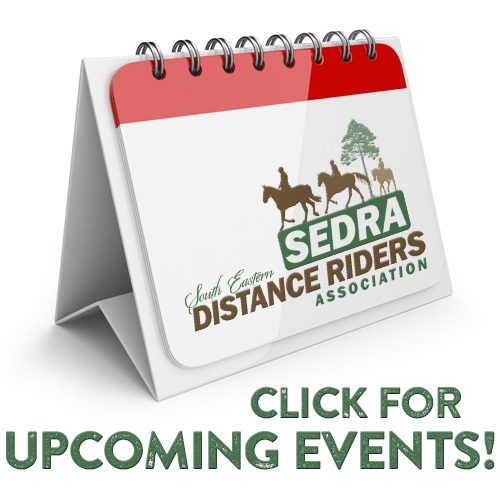 Spruce Creek April 20 and 21: Day 1 is an Endurance ride, Day 2 a CTR. Plenty of parking, sandy trails with shade and views of the river in central Florida south of Daytona. Witchdance April 26-27: Both days are endurance. Located in Mississippi with camp at Stinkin Jim’s. Trails are wooded with good dirt footing. There are still electric spots and stalls left. Give Jane Lee a shout if you plan on going and haven’t got your entry in so she can plan her staffing needs. Biltmore May 3-4: The name says it all! Beautiful trails and facility, and one of the few rides that offers a 1 day 100. Yellow Hammer May 16-18: Are you and your horse ready to ride 3 days? The only pioneer endurance ride that I know of in the Southeast (Alabama). Ride all 3 days or just one or two. Trails are a mix of woods with ups, downs and some water & wood bridge crossings. Camp has water for horses, a pavilion and 2 small bathrooms. Showers are available at the campground 1 mile down the road. This has always been one of my favorite rides. It’s not easy but it is very do-able.